It’s Gen Con week! Come meet the DG and ZOE folks at the Zombie Orpheus Entertainment booth (Booth 114). 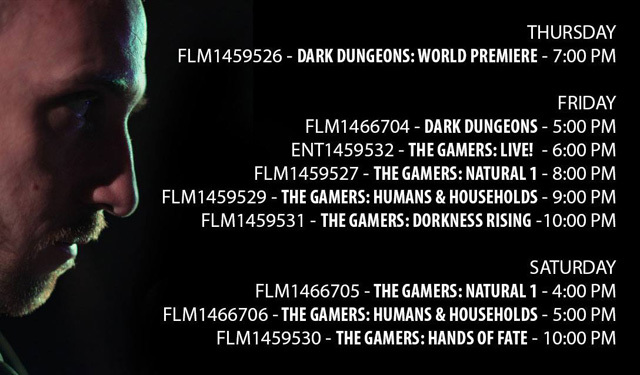 ZOE will be holding several screenings during the convention, including the world premieres of Dark Dungeons, The Gamers: Natural 1, and The Gamers: Humans & Households. 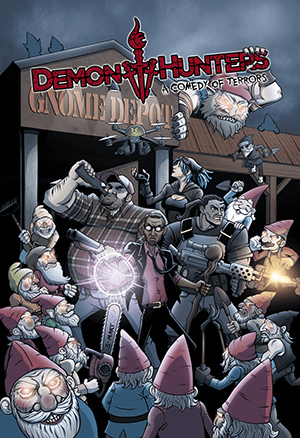 Little sad that the 2nd edition of the RPG will be shifting to Fate as opposed to upgrading from Cortex to Cortex+ but still can’t wait for more material for my favourite game. Guess I’d better start saving the pennies for the Kickstarter. 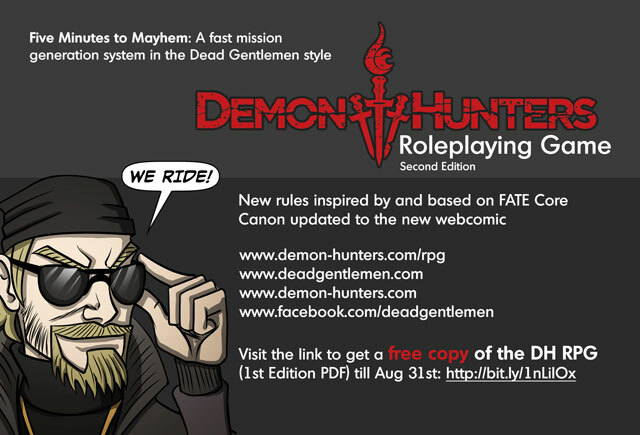 I’m positively surprised that the roleplaying game takes place in the universe of the comic. I thought (and again, I think Don also said so at some point) that the universes would be differ from one another. I never said they’d be different universes, but at one point it was going to be Cortex Plus. Fate Core turned out to be an easier license to work with and the rules are crazy fun and do everything I wanted the rules to do. Cam Banks will be still designing the game and will be inspired by Fate Core and based on it, but will totally be self-contained in the book. 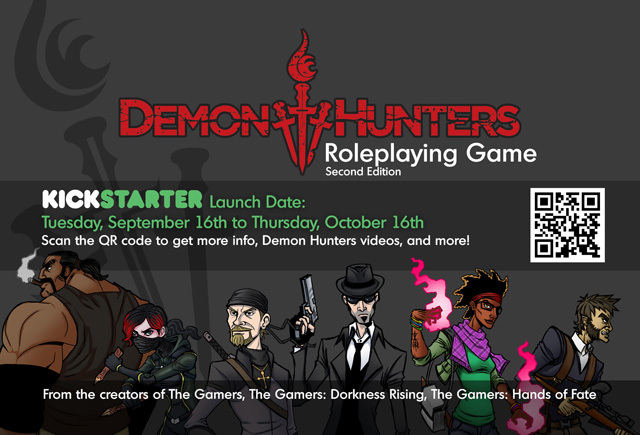 So unless you’re running other Fate Core games (which you should because they’re awesome) you won’t need any other books to run the game but the new DHRPG.